HMS Kent is a Type 23 Duke class frigate of the British Royal Navy, and the twelfth ship to bear the name, although technically she is named after the dukedom rather than the county. Sponsored by Princess Alexandra, The Hon Lady Ogilvy, Kent was launched on 28 May 1998 and commissioned on 8 June 2000. HMS Kent was the first ship to enter Royal Navy service in the 21st Century. 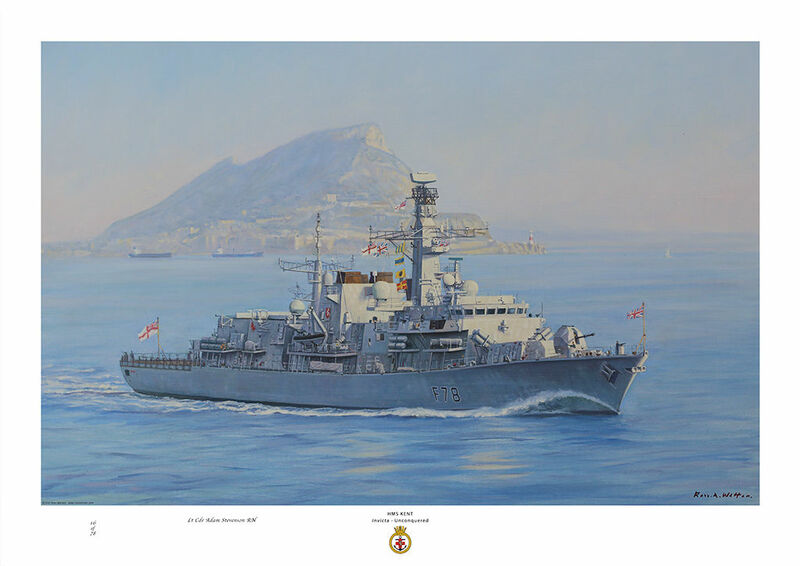 The painting shows the ship off Gibraltar in 2016 and was commissioned by the commanding officer for the ship.